For over thirty years now, our Choir has counted on its collaborating members who with economical and social support help out the choir achieve their goals and fulfil their projects. Collaborating members participate in following the choir, travelling with them in trips and journeys, enjoying the annual Concert for Members in January and having the satisfaction of helping and supporting the choir. 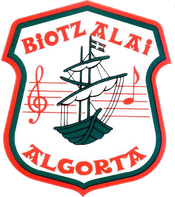 If you would like to be a member of the Biotz ALAI choir, fill in the following form and you will become one of them.